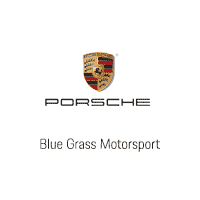 Welcome to Blue Grass MOTORSPORT, an 11-time Porsche Premier Dealer serving the entire state of Kentucky from our home here in Louisville, KY. We proudly partner with and are sponsors of dozens of local charities and events including the Kentucky Opera, the JB Speed Art Museum, the Kentucky Region of the Porsche Club of America, Kentucky Children’s Hospital and the Keenland Concours d’Elegance, just to name a few. We connect with our clients through our shared passion for fine living and fine automobiles. Representing Porsche isn’t a job, it’s a calling, and our team is every bit as passionate talking about the history of the 1,100 horsepower Porsche 917 as we are when walking you through every detail of a brand new Panamera Turbo on the showroom floor. That same Porsche DNA on full display at the 24 Hours of Le Mans is at the heart of every Porsche we sell and service here at Blue Grass MOTORSPORT. Our certified Porsche Brand Ambassadors are exactly that – ambassadors of the Porsche brand, it’s heritage, and it’s automobiles. Our goal is that you become as passionate about your new Porsche as we are. For new Porsche owners, we offer Driver Education Events at the Putnam Park Road Course in Mount Meridian, IN. where a team of PCA certified driving instructors will guide you through the performance capabilities of Porsche sports cars in a safe and controlled track environment. Our philosophy can best be expressed by the acronym P.U.R.E. Our goal is to provide an ownership that is Personal, Unique, Responsive, and Experiential. We want to pair you with the perfect Porsche for you, whether that be a Porsche sports car, luxury sedan, or SUV. We can facilitate your custom-ordered Porsche, or match you with one from our extensive inventory. We can assist you here at the dealership, or have your next purchase delivered to your driveway. P.U.R.E. is ownership on your terms, and we look forward to serving you soon.